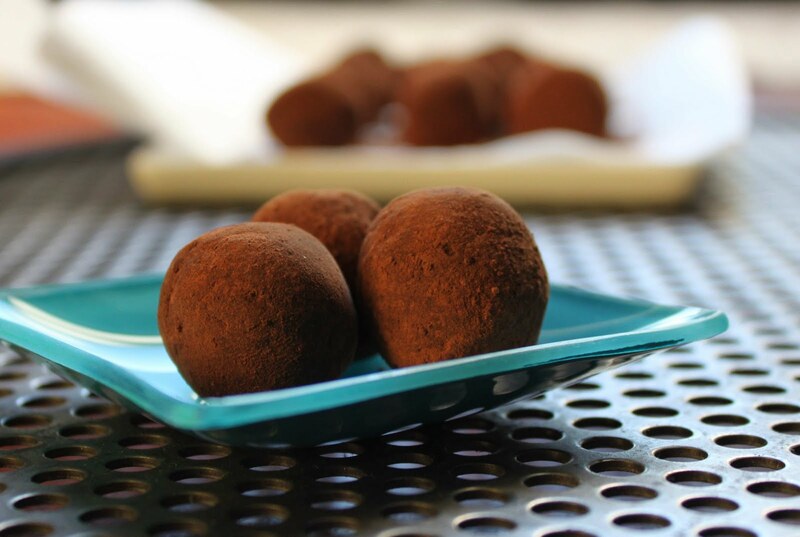 Chocolate truffles are the most decedent, most satisfying chocolate luxury out there. Fudge has nothing on the truffle- it's too sugary. A brownie is too basic. 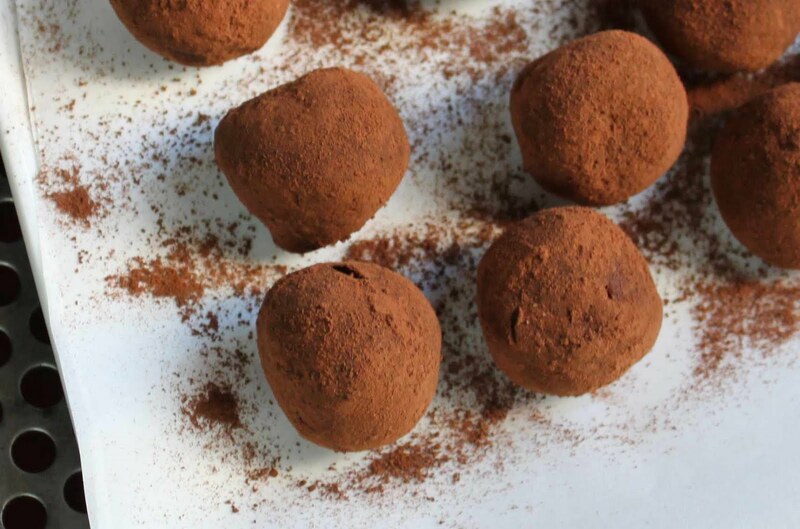 A truffle is dense, rich and indulgent. Take a ganache topping of chocolate and cream, blend it, add in flavored liquour and roll it in more chocolate. SICK! Today my truffle is made with chocolate, espresso and Kahlua. Peanut butter and jelly have nothing on this flavor profile. 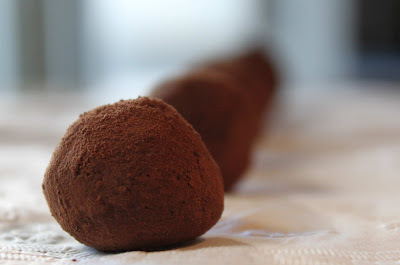 Truffles offer variety just by changing the liquour and the topping. Not only will your sweet tooth be satisfied, you can make endless varieties to your Fat and Happy, chocolatey, heart's content. Tips and techniques: Use good chocolate. Pick something like Valrhona or Scharffen Berger. It will make a difference. For variety, try a raspberry vodka, a Grand Marnier or a ruby port in place of the Kahlua. Then roll the truffle in powder sugar, toasted nuts, coconut or more melted chocolate! Chop the chocolate into small pieces, place in a heat proof bowl. Heat the cream just below boiling. Slowly add half of the cream into the chocolate; allow to sit for 2 minutes. Stir to combine, stirring in the remaining cream. Add in the butter and the Kahlua. Place the mixture in the fridge to chill slightly. When mixture is cool enough to handle and form into a ball, use a small ice cream scoop and drop scoops of the chocolate onto a parchment-lined cookie sheet. Or use two spoons to form small balls of chocolate. Be careful not to make them too big- think of just a bite sized treat. Place back in the fridge to re-chill slightly. Place cocoa powder in a sifter, sift onto a plate. Sprinkle with the espresso grounds. Remove truffles from fridge and roll lightly using clean hands to help form the balls into a smoother presentation. Roll the truffles in the cocoa powder to coat. Set onto the parchment lined sheet, repeat until they are all covered in powder. Store in the fridge for up to one week.